Image: The mom (me) of this ten year old joyfully took this picture of her son playing with Hotwheels T-Rex Rampage. For more than an hour, he played with the toy as it was meant to be played with while the owner of the toy, his little brother, was at a classmate's birthday party! I've never been a patient person. I have nearly always wanted to see or get results to any sort of effort almost immediately. As a parent with a child who has autism, I've had to alter my patience level for the better--especially when it comes to play time. Though I realized Rome wasn't built in a day, it took me a little while to realize I couldn't expect my little guy to learn the complexities of play in that short bit of time. Playtime has been difficult for us since my son was a toddler. Although my son has made vast improvements in this area, it used to be quite a struggle. 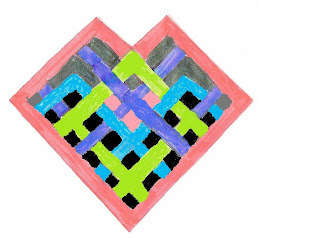 When my child was three or four all he wanted to draw during our mommy/son art time was a colorful set of lines. Play groups were difficult then because he didn't have an interest then in engaging with other children and instead preferred to cling to me. Talking to other mothers was nearly impossible and this mom dreaded every single play date on the calendar but went anyway because she felt it was a good opportunity for her son. Despite the difficulty with play groups, I did find that my son did want to play. However, I was his designated play leader and often found that we were limited as to what kind of things we could do. Play outside of play groups was easier for us because there were fewer distractions. By necessity I started out by encouraging simplified play. Inspired by the PBS classic, Mr. Rogers, I used paper towel tubes and slanted them at an angle and ran a car down through it. My son picked up on that skill right away and enjoyed the activity for brief periods of time as a two year old. Soon we were pulling off our couch cushions to make ramps for the cars. I wanted him to be able to do other things with cars such as create imaginary roads, but he simply was not ready for that. At play groups that had mostly typically developing children, I paid attention to what other toys the neuro-typical children were playing with and bought a few of my favorites. One of the most successful toys I was inspired to buy (when my son was about three) was a wooden puzzle that featured eight or ten different sea creatures. It came with a fishing pole and each creature had little round piece of metal on it's surface so that it could be 'caught' with the pole. It still gets played with by both of my boys. The absolute best decision I made, however, regarding the development of my child's play time was to have another child. I gave birth to our second born son, who is neuro-typical, six years ago. Fortunately, for my husband and I, the boys turned out to be compatible and they are, in their own words, "best friends." I realize that there are many kinds of possible outcomes and a sibling doesn't necessarily always make the best play mate for a brother or sister with special needs. I feel lucky every day that my six year old has the ability to lead my ten year old with autism in play. I have to admit that C2 has more ability to lead his brother in play than I do. It's wonderful to see my ten year old with playing with toys in the way they are meant to be played with. Although I would have kept trying, I believe that having an in house playmate has led to quicker development in this area. We still have a ways to go. Even now, our play time hasn't always been smooth. There have been times when both of my guys went out to play with the neighbor children and my oldest came back in tears because he didn't understand what they were doing. In one particular case, he was chased away because they were all performing 'jobs' and he kept interfering because he didn't know what to do. I took him back and explained that they should give him a job, but stuck within hearing distance in case they decided to take advantage of the situation. In short, group play with two or more children is still difficult for my son. Individual or one on one play is much easier. As for now, in regards to play, my biggest challenge with play is to get my son to school in time! The desire to play with stuffed animals in the morning hits hard and threatens to make us late nearly every day! 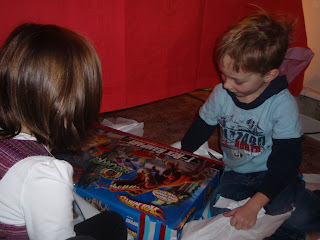 Image: My son and a friend look at a gift from another child. The two are typically developing children who can be defined by Author Pamela Wolfberg as expert players. In the unseen background is my ten year old son with a mild form of ASD. He is a child who can be defined as a novice player. To my delight, he played with balloons and hit a rainbow pinata along with the four other typically developing children. Current series at Autism Blog: teaching children with Autism Spectrum Disorder how to play. I have great news. After publishing my last post, I discovered that Pamela Wolfberg has written a revised edition of her book, Play and Imagination in Children with Autism. It will be available on Amazon by April 4, 2009. She also has written a book titled Peer Play and the Autism Spectrum: The Art of Guiding Children's Socialization and Imagination (2003) which also looks promising. In the meantime, here are some summarized ideas from her previous version of Play and Imagination in Children with Autism (1999) that are still relevant today. According to Wolfberg's research, play is a voluntary, pleasurable activity that requires actives engagement with other children and/or toys, etc. Sometimes play has a non literal orientation meaning that a blanket can become a flying magic carpet or an entire living room can become a jungle. With play activities such as playing house, for example, there is a greater attention on the process of playing rather than obtaining a goal, (well it should be that way, though some children get competitive during games.) Amongst typically developing children play is a flexible and changing activity. Importance of Play: When playing children learn how to communicate with both words and symbols (the blanket as a magic carpet, for example) while also learning social skills such as taking turns that will help them gain social acceptance by peers. Integrated Play Groups: Pamela Wolfberg's book is a result of her research on a comprehensive play intervention for children with autism. The name of this intervention is integrated play groups. The group is composed of two groups of players: expert players who are a typically developing children who have an inborn ability to engage in social and symbolic play; and novice players, children with autism spectrum disorder who need to learn how to engage in social and symbolic play. The groups is monitored by a group guide whose role is to observe and interpret the activities and interactions of both groups. My thoughts: I believe her Integrated Play Group model has possibilities as a low cost intervention that can benefit most children with ASD, whether they live in a densely populated urban area with many therapeutic choices available or in sparsely rural settings where choices for families are limited. I would love to see this model imitated in communities across the United States and beyond. For more information about integrated play groups please click on this link, which will take you to the Autism Institute, a site with which Pamela Wolfberg is affiliated. 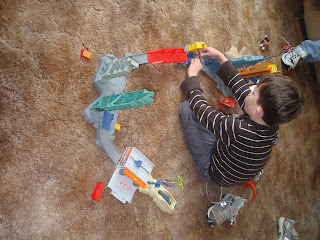 My next post: An essay about the difficulties that one particular child (my son) with ASD has had with playtime. My newest series of posts is going to be about introducing the concept of play to children with autism. What topic can be more fun to write about? For my next round of posts, I'll be writing about toys, play leaders, groups, play therapy and last, but not least--the ideas about play that Pamela Wolfberg offers up in her book, Play and Imagination in Children with Autism. Although this book is almost ten years old and written it an academic style (the book is a product of her dissertation, a paper she wrote to obtain her doctorate degree), it gave me hope because it focused on her work with children between the ages of eight and eleven. As a mother of a now ten year old boy with autism, I was told by my son's developmental pediatrician, who also happened to have a Play Therapy business (based on the concept of floor time), that my then six year old was almost too old to benefit from the therapy. I ended up passing on that therapy because it was too expensive (in both money and time) and our insurance didn't cover the cost. So reading how three children benefited from an integrated play group (a group comprised of children with and without autism) was rather enlightening in a good way. Though I do believe that early intervention is essential for individuals with autism, I'd also like to think that there is something parents can do to help their older children function better with their peers and in society in general. Teaching children through play is one of the most fun ways to accomplish that goal. This series at autism-blog.net, however, will be crafted to also help parents with younger children as well. The target audience for this series will be parents who have autistic children between the ages of 2 and 12. My next post will go a little deeper into some of Wolfberg's ideas. I'll be sharing her definitions of the characteristics of play as well as some of her other ideas. Please stay tuned!